If your item is faulty when you receive it, or a different product than what you ordered, you may return the item for full refund including shipping charges, if the situation is the mistake of The Side-Out Foundation or the manufacturer. 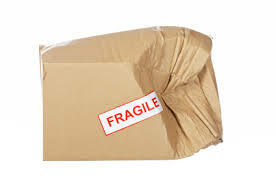 It is to Side-Out’s discretion whether the item is faulty or damaged. Typically we will send you a replacement shirt, and pay for you to send the defective/incorrect shirt back to us. In these situations, please contact us at sales@side-out.org before you send back the product to work out the details of the return to ensure that you are refunded for the shipping cost. Please include the reason for return and let us know how you will be sending the package back to us. Should you send back the product before contacting us, you may not be refunded the full cost of shipping the item.